While new Arsenal manager Unai Emery might not read too much into the scoreline, there were encouraging signs as the Gunners build up to their Premier League opener against Manchester City on August 12, live on Sky Sports. After a turbulent summer with Germany, Ozil broke the deadlock after 13 minutes when he finished from Pierre-Emerick Aubameyang's pass across goal. Arsenal should have scored more in the first half but Alex Iwobi, Aubameyang and Henrikh Mkhitaryan were all denied by Gianluigi Buffon. PSG improved after the break and were awarded a penalty when Timothy Weah was brought down by a sliding challenge from Sead Kolasinac. Nkunku stepped up and calmly dispatched the spot-kick to draw PSG level. However, Arsenal responded positively to the setback. Emile Smith Rowe, 18, added an assist to his goal against Atletico Madrid as he curled in a cross for Lacazette to finish at the near post in the 67th minute. Ozil, Iwobi and Elneny started for the first time in pre-season for Arsenal. Buffon, Diarra and Rabiot were the only senior players in the PSG starting XI, with the likes of Mbappe, Neymar and Cavani still on holiday after the World Cup. Lacazette then headed in to make it 3-1 shortly afterwards, before Holding scored with a brilliant header in the 87th minute from almost the edge of the box. Eddie Nketiah added gloss to the scoreline when he fired in a low shot deep into injury-time. Aubameyang was lively and Lacazette scored twice, but Matteo Guendouzi takes the honours for a strong showing in midfield alongside Mohamed Elneny. Not only did the 19-year-old regularly break up play, but he showed a good range of passing, including a fantastic ball over the top that set up a chance for Aubameyang. 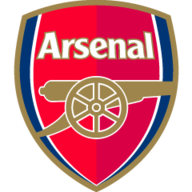 Arsenal continue their pre-season preparations with an International Champions Cup clash against Premier League rivals Chelsea in Dublin on August 1. 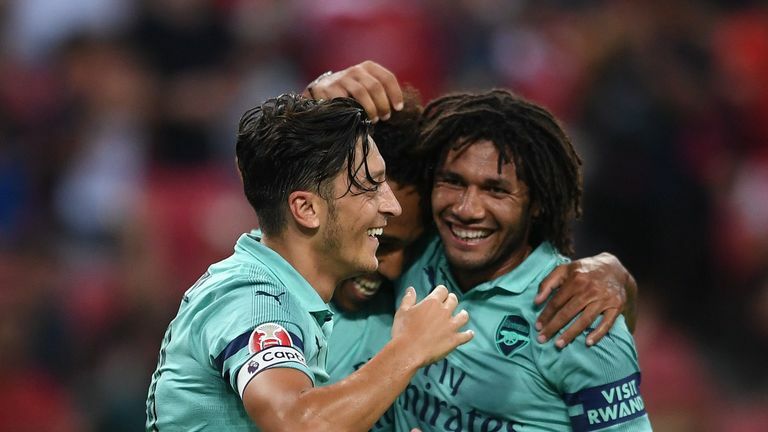 The Gunners then face Lazio in Stockholm on August 4 before their season-opener against Manchester City on Sunday, August 12, live on Sky Sports. 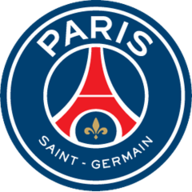 PSG face Atletico Madrid in the ICC on July 30 and then start their Ligue 1 season on August 12 against Caen.